Product prices and availability are accurate as of 2019-04-05 06:08:21 EDT and are subject to change. Any price and availability information displayed on http://www.amazon.com/ at the time of purchase will apply to the purchase of this product. 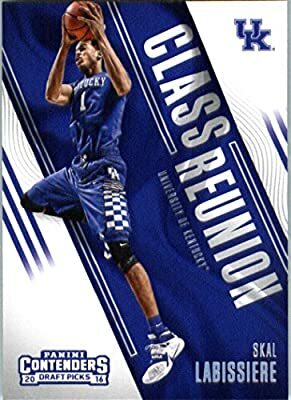 One Single 2016 Panini Contenders Draft Picks Class Reunion Basketball Sticker. 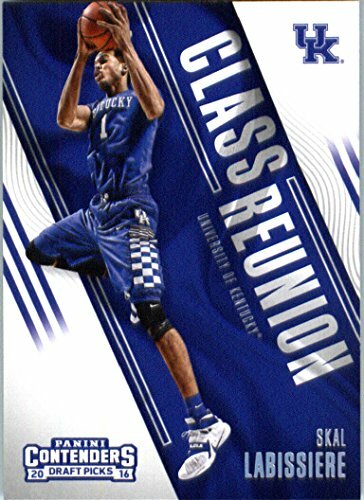 Collect all 20 veteran and rookie cards & look for inserts here on Amazon! Single Card Ships in Protective Screwdown Display Case Card Condition is NM-MT/MINT We have team sets for Baseball, Football, Basketball, Hockey, and Soccer We have a large selection of Autographs, Jerseys, and Memorabilia cards!